Anti-Pitchfork: 90sFest invading Williamsburg, bringing Coolio, Lisa Loeb, Smashmouth, Pauly Shore, Naughty by Nature & Blind Melon!!! 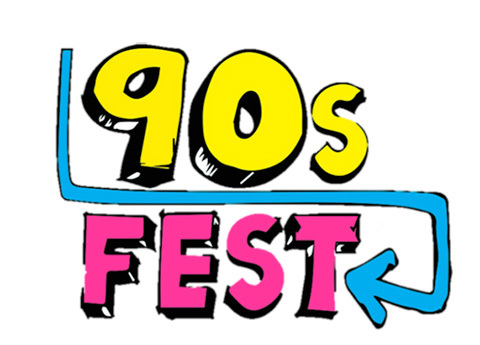 90sFest invading Williamsburg, bringing Coolio, Lisa Loeb, Smashmouth, Pauly Shore, Naughty by Nature & Blind Melon!!! Do you love the '90s? Like, indiscriminately? If so you're going to love 90sFest which comes to Williamsburg's 50 Kent on September 12 with live performances from Coolio, Lisa Loeb, Naughty By Nature, Smash Mouth (no bread throwing, please), Tonic, the surviving members of Blind Melon and Saved By the '90s party cover band The Bayside Tigers. Pauly Shore will be hanging as host and there will also be a Nintendo Mario Kart tournament, a World Record attempt at the largest "Macarena" group dance ever, plus Instagram personalities Fuckjerry and Betches will be there too curating "Throwbacktivities." OK, sure. Salt n' Pepa have been added to the bill as headliners! Event producer Marc Weinstein joked to Billboard, "now that Pepsi has teased Crystal Pepsi may be coming back, we may be able to offer Crystal Pepsi-based cocktails to our guests in VIP as well." Hahaha... someone make an Orbitz joke now. Furby? Tickets for 90sFest are on sale now.